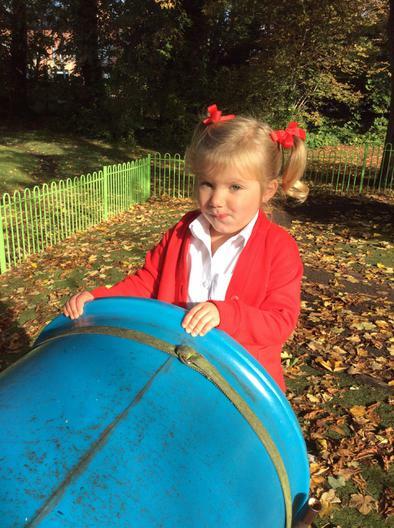 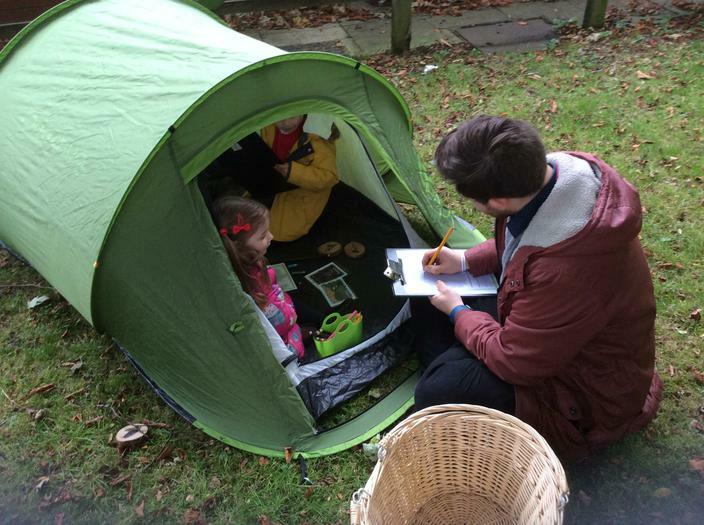 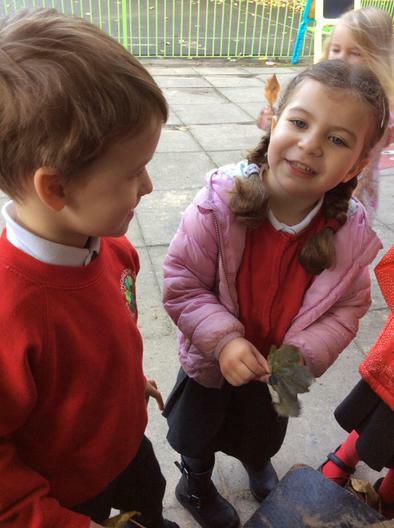 We have all had a fantastic first half term, getting to know the children and their families. 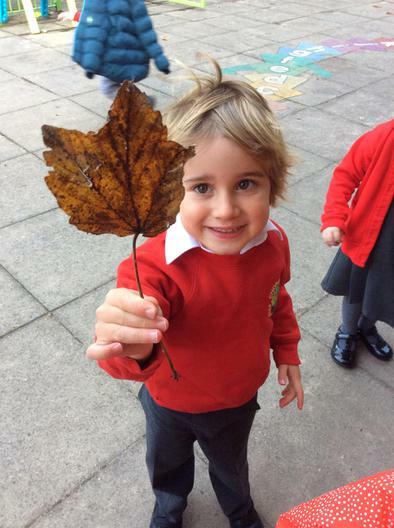 Out topics this half term have been "All about me" and "Autumn". 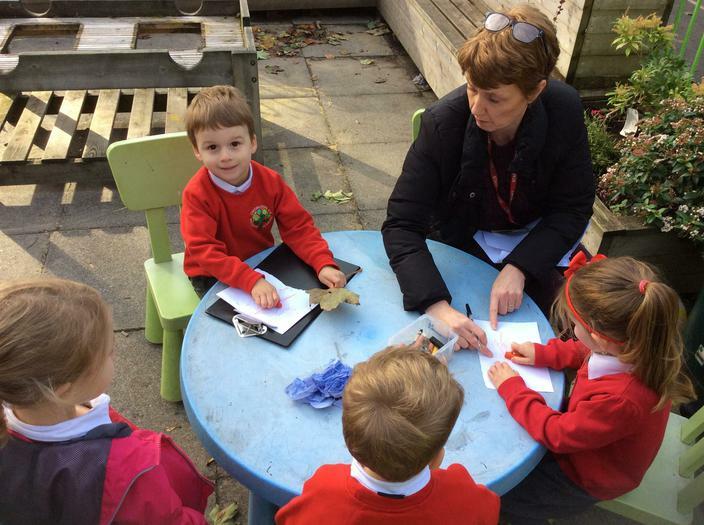 As part of this we have looked at stories such as "The Rainbow Fish", "Guess How Much I Love You", "Ferdie and the Falling Leaves" and "Squirrel's Autumn Hunt". 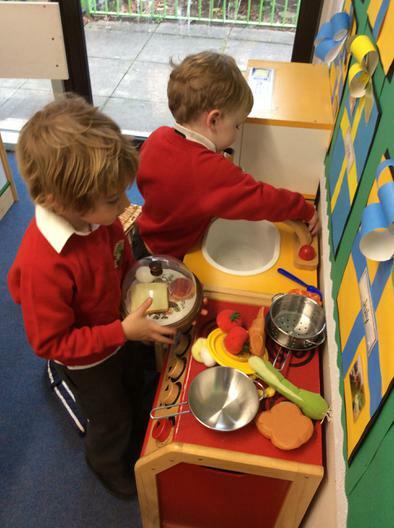 The children have enjoyed getting to know their new classroom and playground. 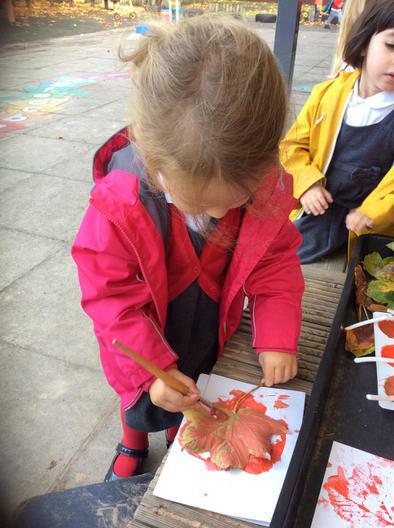 As much of the day allows for children to make their own choices, we have many different activities and learning opportunities that they can take part in throughout the day. 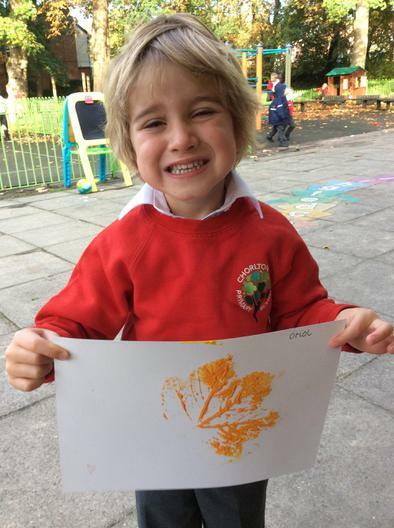 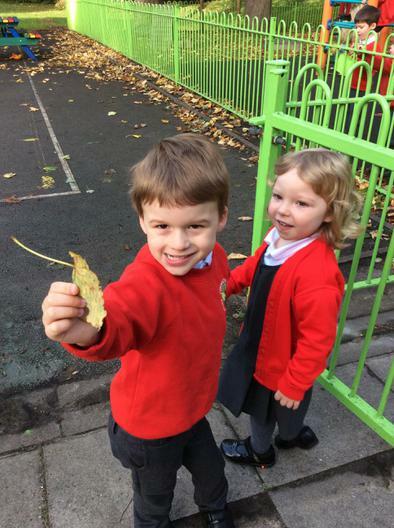 Recently we have been learning all about Autumn. 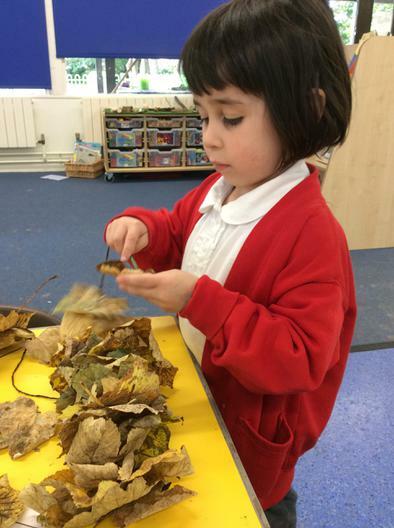 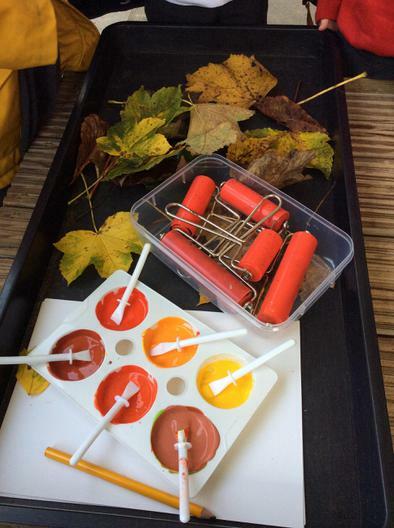 We have read the story "Ferdie and the Falling Leaves" and had many activities linked to the theme of the story. 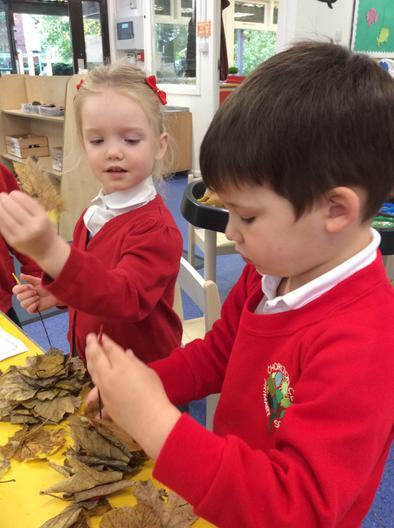 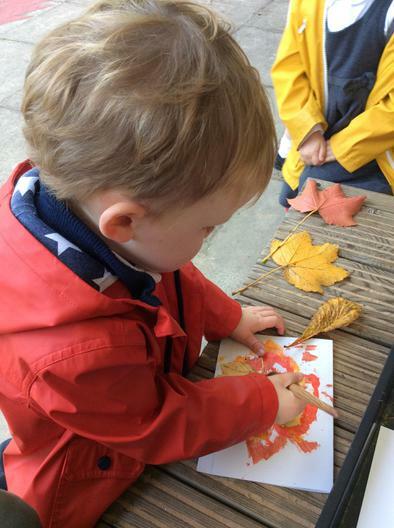 The children have taken part in leaf hunts, creating leaf art, threading and cutting leaves as well as other exciting Autumnal learning opportunities. 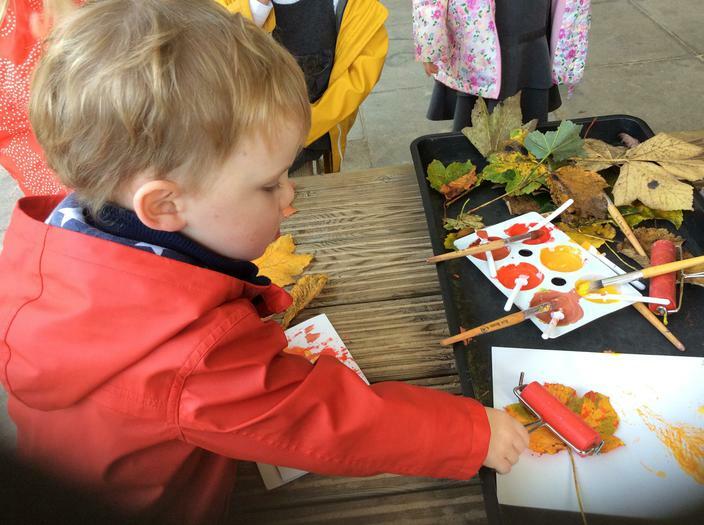 Check out some of our Autumn antics below! 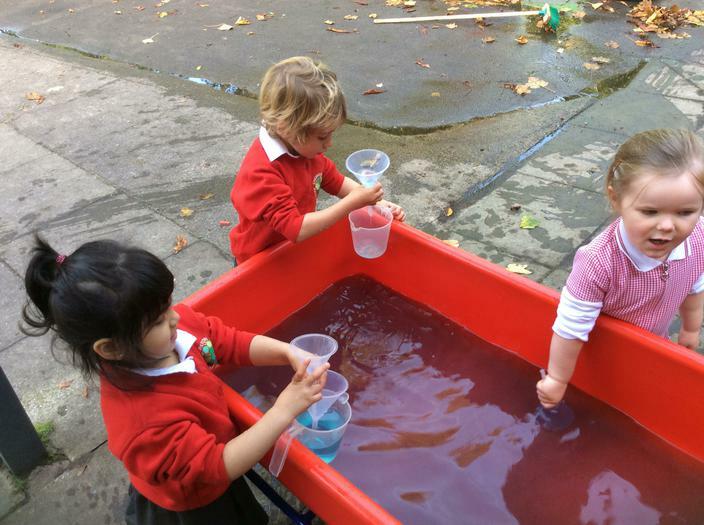 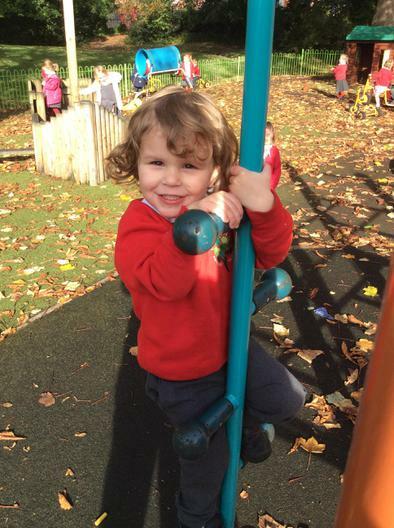 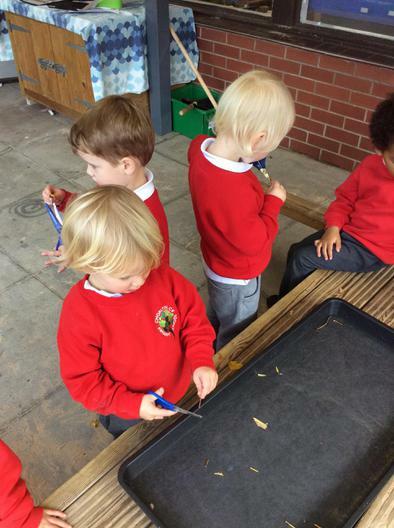 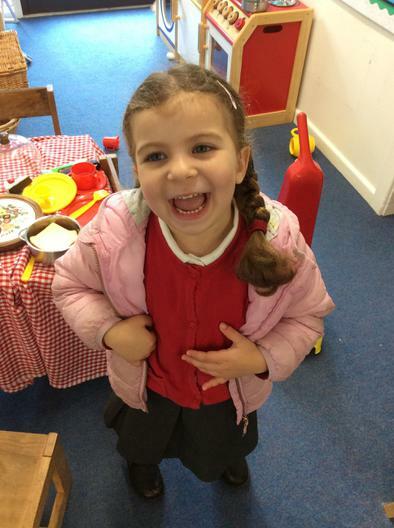 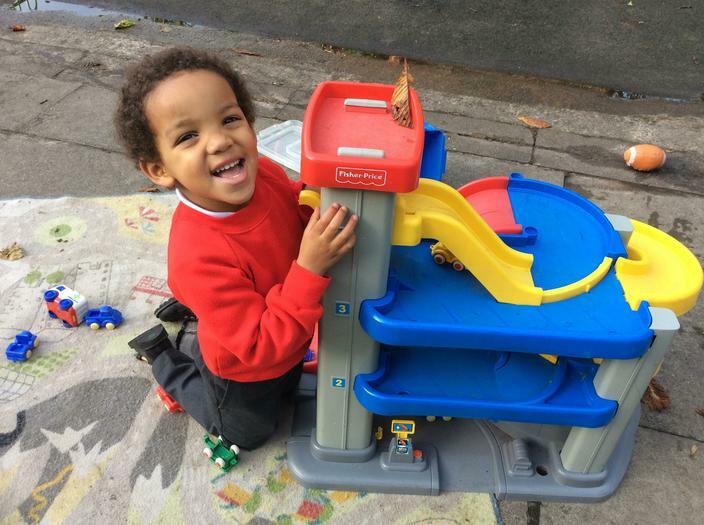 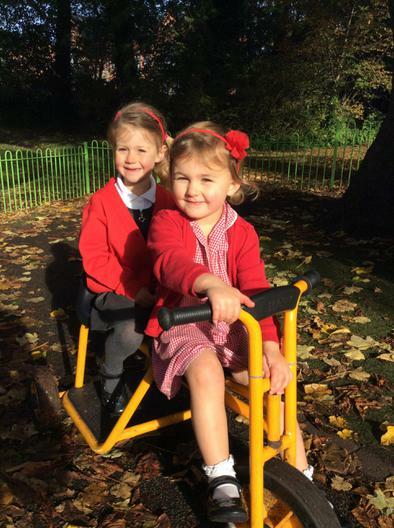 Learning through play is the core of the EYFS curriculum. 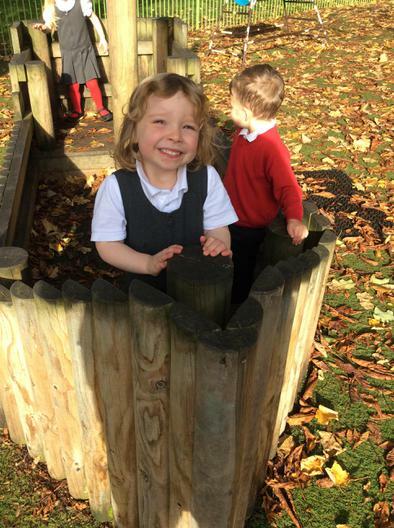 Take a look at some of our pupils working hard and playing even harder.